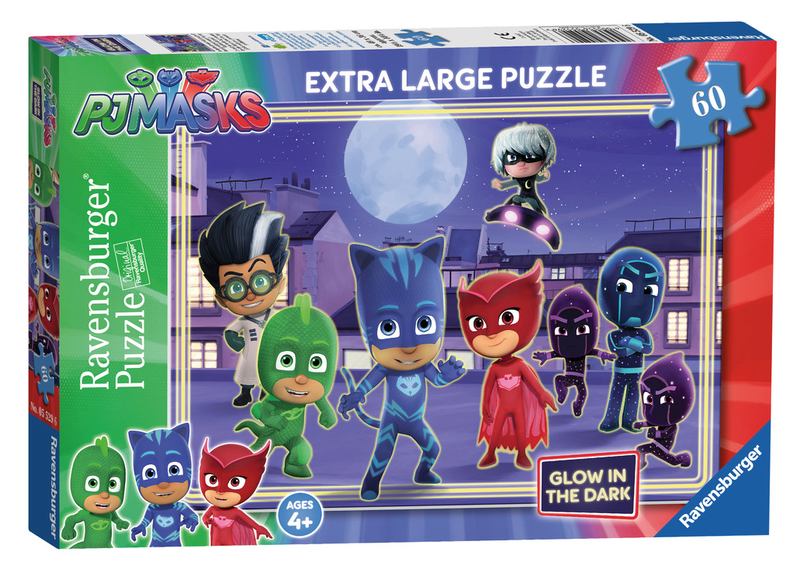 Hello lovelies, recently I very kindly received a PJ Masks Glow in the dark jigsaw puzzle, well I say for me more for Oscar, Oscar loves PJ Masks so he was elated when I handed him this jigsaw as he also loves jigsaws, but it's not any ordinary jigsaw, it glows in the dark! 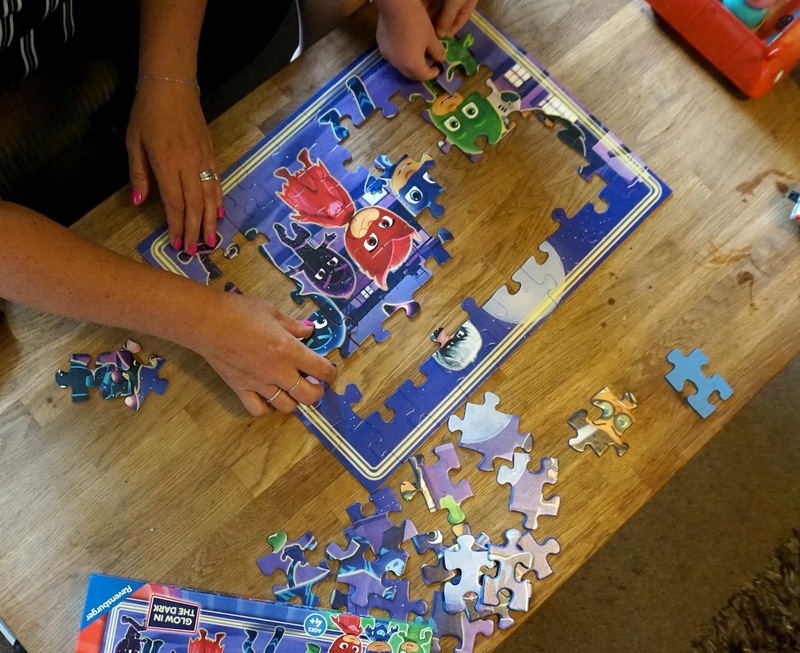 As you can expect my four year old was over the moon with this concept, first time around we were all looking forward to getting stuck in, me, Oscar and Dan, that ecstatic I forgot to take blog photos, am I even a blogger? 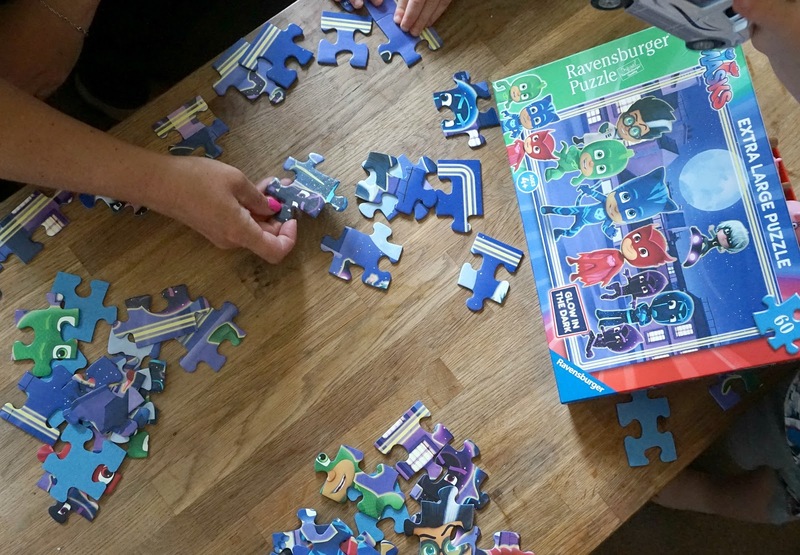 But luckily nanny saved the day, my mum came to visit us the other day and Oscar was so excited to show my mum his new jigsaw he said please nanny build my jigsaw with me so they did! Oscar did so well and remembered you have to do the edges first! I didn't manage to get any good photos of it glowing in the dark but what we did was build it under our table then we put a big throw over the table to make it look like a den and we saw the jigsaw glow up, Oscar was thrilled. 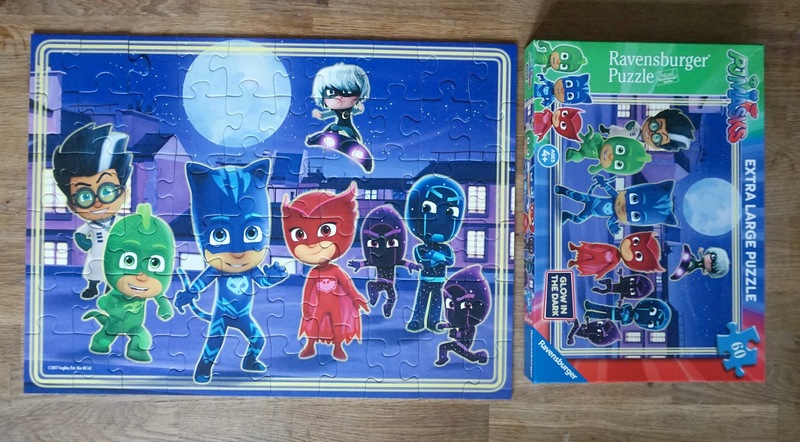 I am rubbish at jigsaws I just don't have the patience but I quite enjoyed this 60 piece on with the extra large pieces, if every jigsaw was like that I think I would like them more haha, Dan loves a jigsaw though and enjoys doing this with Oscar of a weekend, Oscar now wants more.